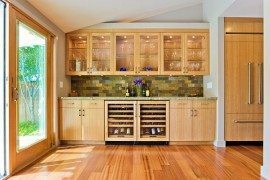 The trick behind creating an inviting room that is bright and inviting is by contrasting dark floors below and brighter and cleaner colors in your furniture, walls, and ceiling. This helps ground the room by keeping your eye focused on the brighter finishes, while still adding the complimentary dark floors. Neutral tones in whites, grays, beige, and muted shades of all colors on your walls and furniture will help balance the room and therefore make your interiors feel brighter. While your thoughts may instantly go towards dark wood floors, there are many varieties of dark flooring to choose from. 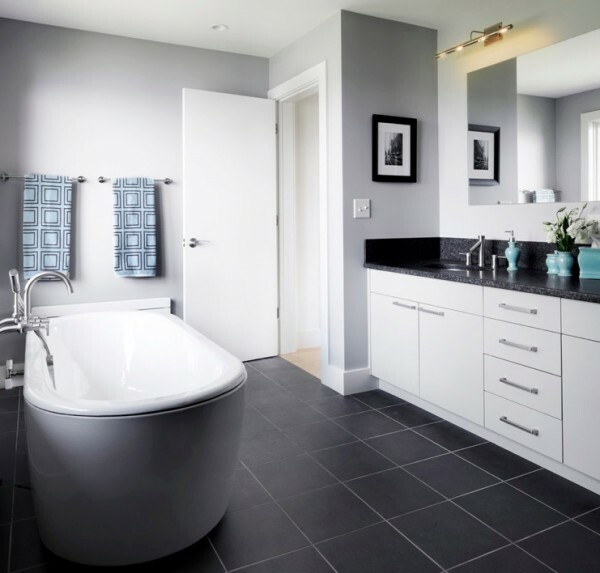 Whether you choose from dark tile in your bathroom, to dark carpeting in your bedrooms, dark flooring is a welcomed addition in your home. 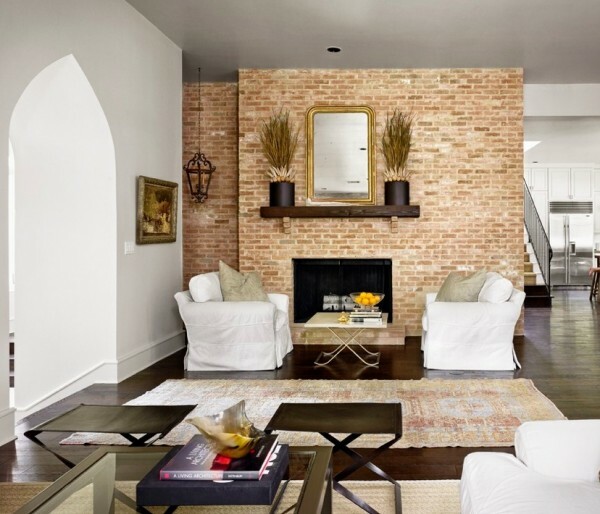 If you want to add color and texture, add an area rug to break up the monotony of your dark flooring. Another suggestion is to use dark flooring in conjunction with lighter flooring. 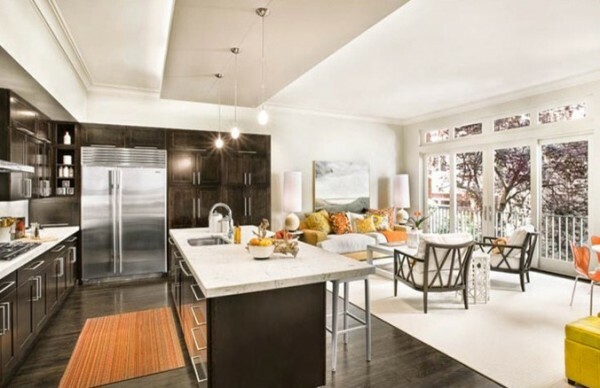 Especially in dividing rooms visually, for example your kitchen and dining room can have contrasting flooring. 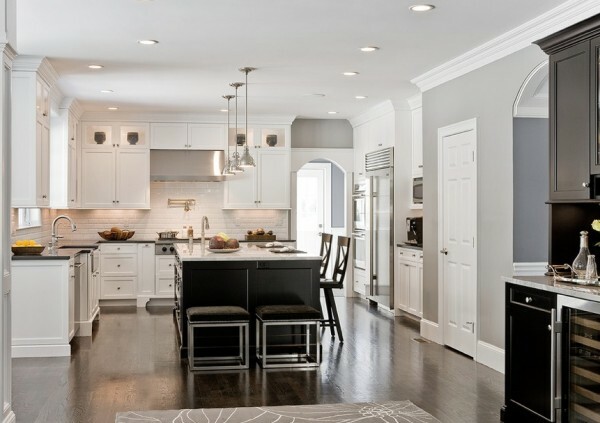 A good example is here in this kitchen/dining room area by Dumican Mosey Architects where the dark wood floors look stunning against the lighter carpet. 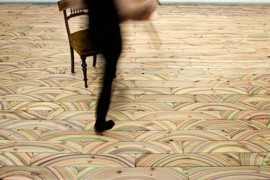 The beauty of flooring is the many ways every design style can fit well with a variety of flooring. Wood flooring is the perfect balance of traditional and modern styling to showcase in your home. 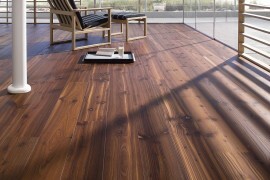 If you like ultra modern flooring use wood planks that are have a wide width and have a more polished finish. 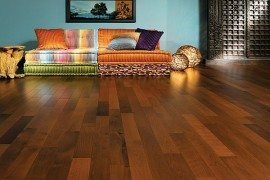 While more traditional homes may opt for a darker wood flooring that is closer together in plank width and shows more of the wood grain. 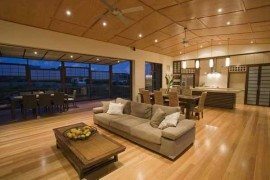 For rustic homes, hand scraped dark wood floors are gorgeous as they have texture and the more knots and imperfections that show off through the wood, the more natural aesthetic style you will enjoy. Dark flooring is a beautiful way to brighten up your home. Whether you decide to use wood, tile, or carpeting the options are limitless when paired with complimentary or high contrast finishes and furniture. 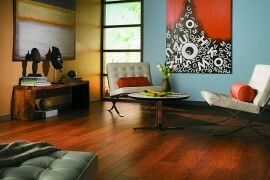 When choosing dark flooring, bring home swatches of the flooring and look how it will pair with your current space. 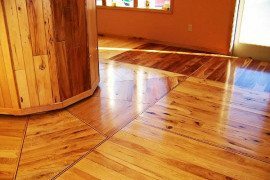 After all, flooring is a big decision and you want to ensure the color is right for you and your family. 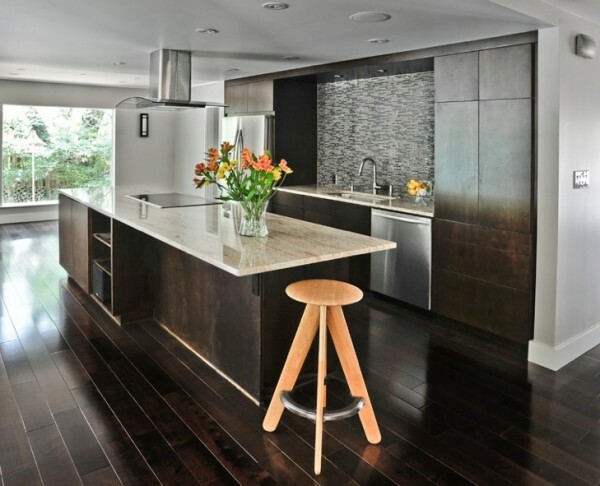 Don’t shy away from dark flooring, they can enhance your interiors more than you know.